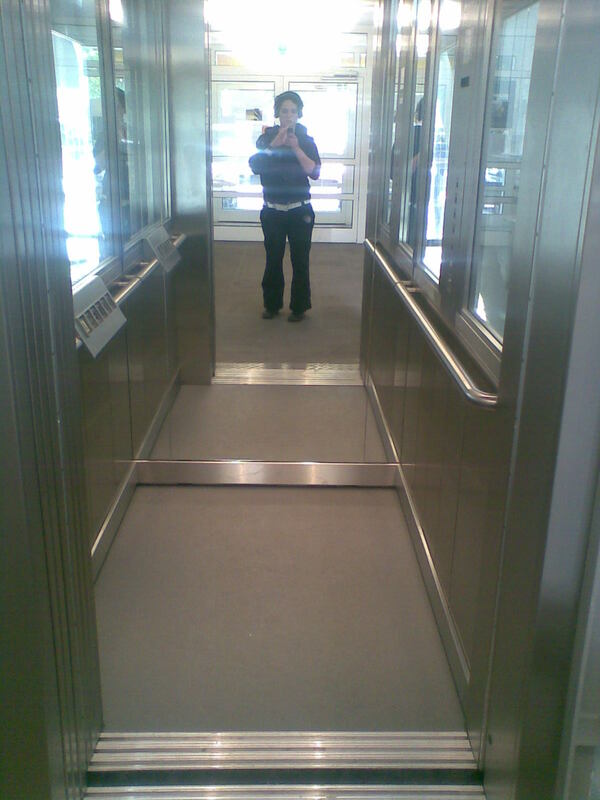 Access from the side entrance through two automatic doors, then turn right. 2 designated handicapped parking spaces, accessible via Hardenbergstraße. The U-Bahn station Ernst-Reuter-Platz is located near the Bauingenieurgebäude (without elevator) and the bus stop with the same name (Ernst- Reuter- Platz) of the lines M45, 245 and X9. 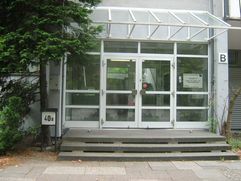 Main entrance to building B (Bauingenieurgebäude) has steps. You can find the side entrance with a ramp on the right side of the main door. 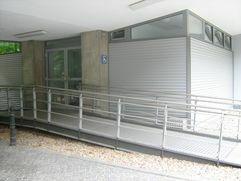 The side entrance has a ramp and an automatic door (only for the outside door). With the wheelchair, students pass a toilet suitable for the handicapped, can enter the student café "Planwirtschaft" and an elevator. Mit diesem Aufzug gelangen sie bis in die oberste Etage. 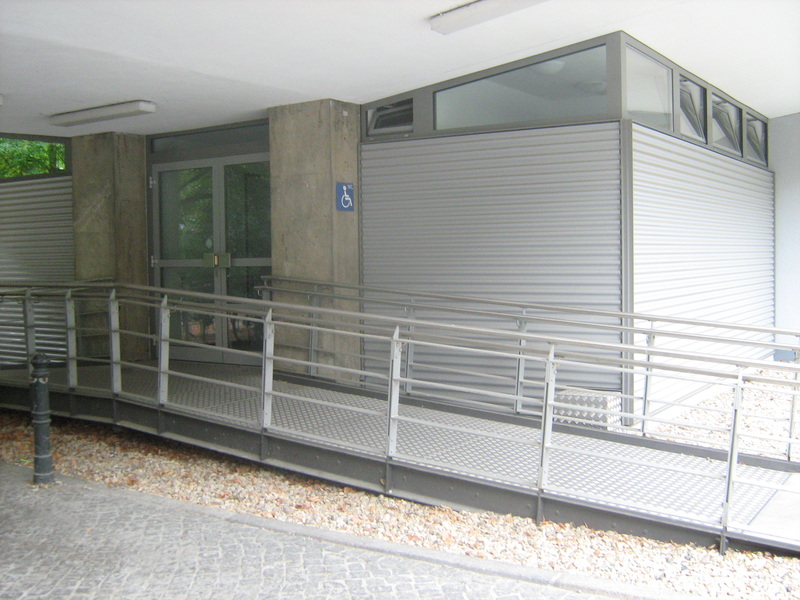 Two designated handicapped parking spaces can be reached from Hardenbergstraße. A spot is on the wall to BH-A building,and the other directly next to the ramp to the B building. Handicapped toilet The toilet is on the left side from the side entrance. It can only be opened with a EURO key. 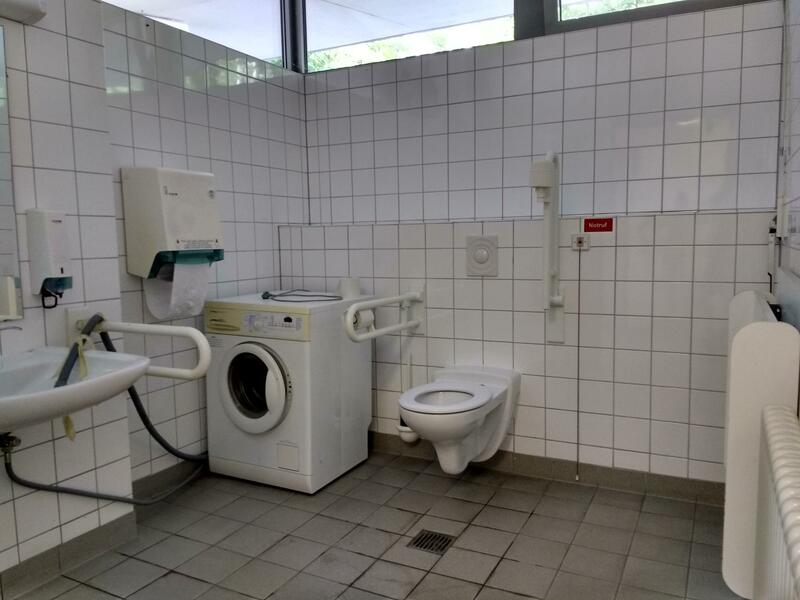 If you do not have a EURO-key, we recommend the toilet nearby the BH-N building. You can borrow a EURO key from the porter, only in cases of emergency. Elevator The elevator is sleeperless. The buttons and handles are mounted at a height of one metre. The doors close slowly. On the front side there is a full length mirror, the side walls are made of glass. 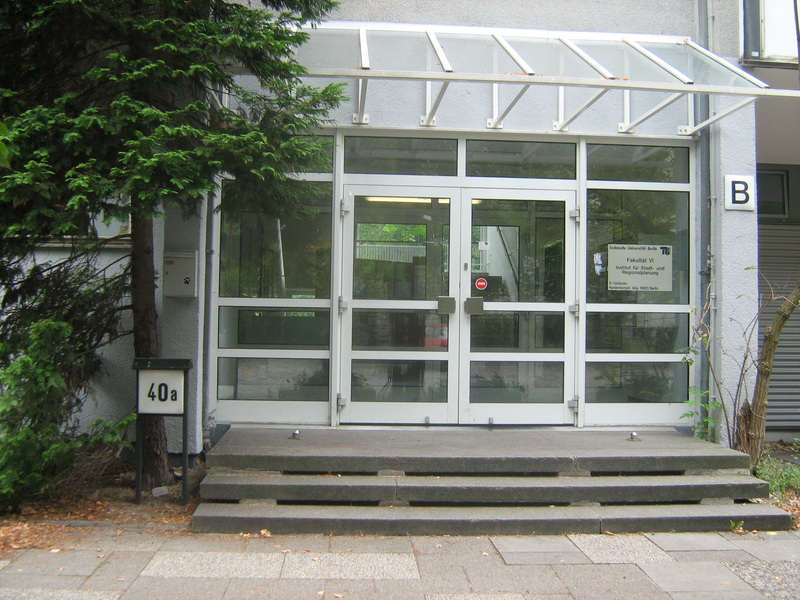 On the right side is the staircase and the wheelchair accessible entrance,on the left the student café "Planwirtschaft".